Get The Best Tips And News...Look Nowhere..
Microsoft has issued a preview release for Windows 8. New operating system that is more interactive and user friendly for all types of devices are also promised would be more secure from viruses. Microsoft Regional office in Singapore is pleased to explain the leaks about Windows 8 that will be coming soon this year. 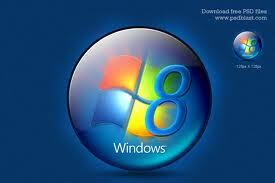 "I was very excited when asked to explain about the permissibility of this Windows 8. You all would like," says Group Program Manager Microsoft Corp., Anantha Kancherla, who cannot wait to start explaining. Anantha who was using two devices at once, and ultra book tablet, immediately show what the features available in Windows 8 are. With a view similar to Windows Phone Nokia like this, this latest operating system can be customized as the user desires. Visual display of graphics is quite interesting. Any existing applications, all directly updated properly when connected to the Internet. Start of mail, calendar, social media, application photos, news feeder and even your favorite football team, all can be arranged in sequence on the front page as you wish. All applications and files I have on the tablet is also synchronized with the Smartphone, laptop, even my desktop at Redmont (Microsoft's headquarters in the U.S.). All connected via Skydrive, cloud storage media that I can use anytime I want, "he said. With thousands of applications in all types of devices that Windows 8 is currently used Anantha, what not to worry tucked malicious programs or viruses that slip? No. I do not need to worry. All applications in the Metro (Windows 8) bound 'contract'. So the only application that passes the sensor can operate Apps Manager. With the 'contract' between one application to another application to work separately, even with the operating system itself. They have limitations that can not affect each other. So for the safety factor could I say a lot safer, he explained. Anantha itself still has not told when the final version of Windows 8 is officially launched. But Julian Chan, IT Director, Microsoft Asia Pacific, provides little guidance. "Indeed there has been no official timetable. But that would still be this year. Usually before the public holiday in the United States," he said. Android 5.0 Jelly Bean Ice Cream Sandwich Successor Will Roll 2nd Quarter 2012? Beware! Android Apps Secretly Copy and on upload your photos!